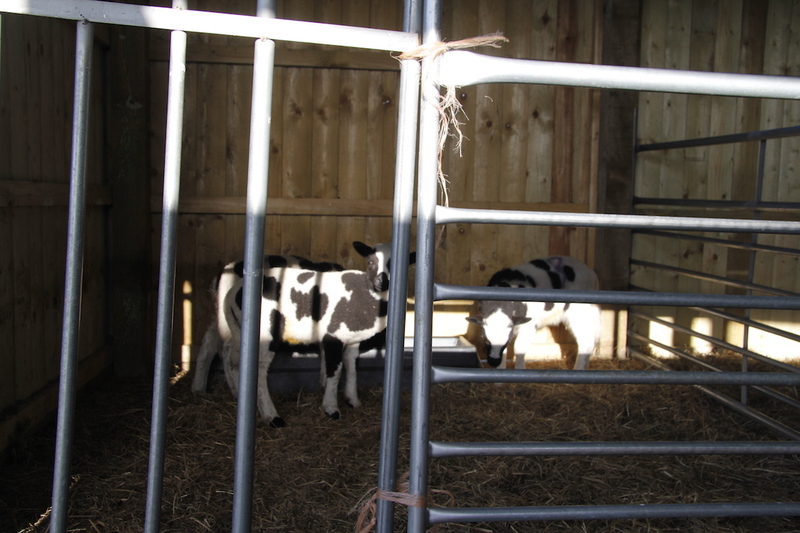 Obviously every smallholding has to have a lamb jail for naughty lambs. 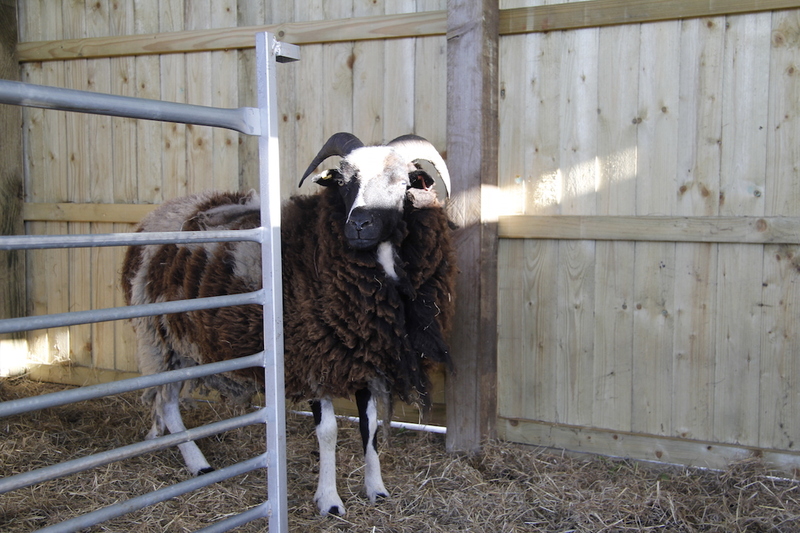 Here is one of the ewes visiting her delinquent offspring. 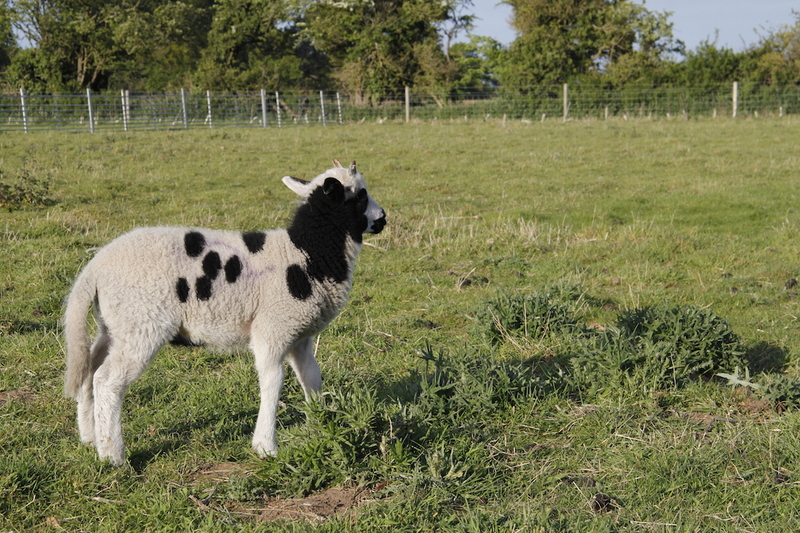 Of course we don’t really have a lamb prison – they are all too cute and gorgeous and never really naughty. I helped Andrew make a creep for them. 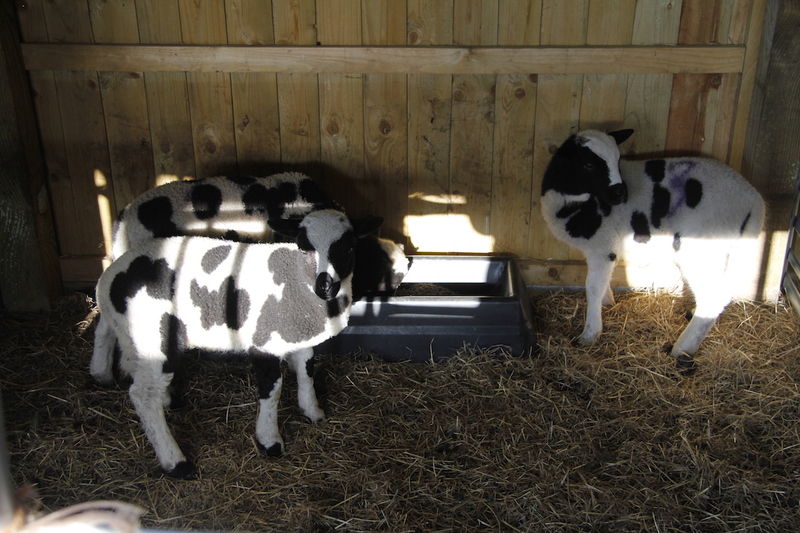 It is a corner of the shelter where only the lambs can get in – they go through the wider gap in the hurdle on the left of the photo above. 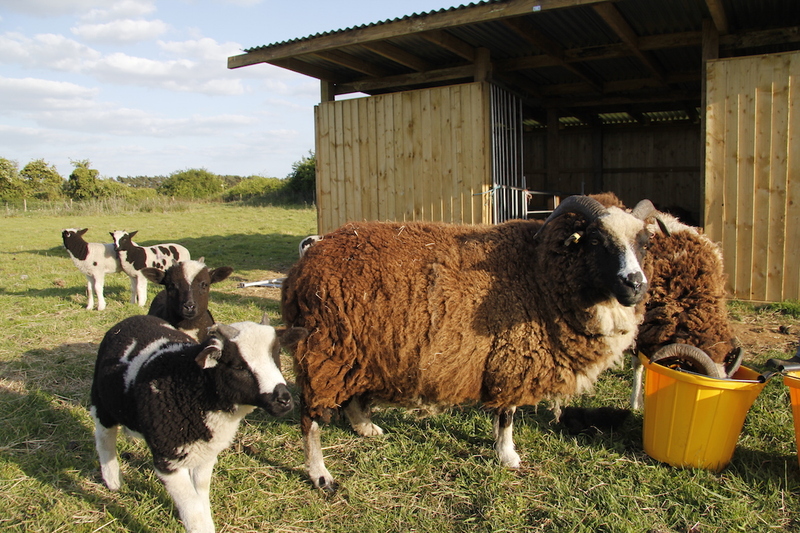 We put special lamb food in there – basically it is to stop their greedy mummies from eating their food – it also gives the mums a bit of a break from feeding the lambs. But to get them used to the idea I have to lure them in to the shelter, block the entrance and then rush around chasing them until I catch one. I then put it into the creep. I hope they get the idea soon as it is exhausting me chasing after lambs! And here are Molly and Mags in the front with their mum Bobtail. Molly has four horns like her dad. N.B. the ewes get some extra feed as well, of course.